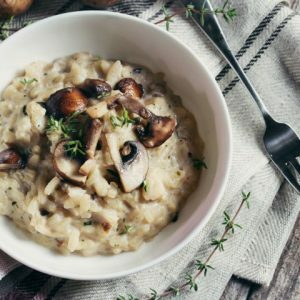 Mushroom Ragu is a delicious, slow cooked comfort food ideal for a lazy weekend lunch or dinner. Perfect with pasta or mashed potatoes with boiled vegetables, it is full of delicious flavour and easy to make. 1. Heat oil and butter in a deep pan over medium flame. 2. Add the onions, carrots and garlic. 3. Add a pinch of salt and saute for 10 minutes or until softened. 4. Add the mushrooms and cook for another 5 to 10 minutes or until the mushrooms start to soften. 5. Add tomato puree and little pepper powder. 6. Stir well and cook for a minute or two. 7. Add the wine and cook for 5 more minutes. 9. Add some more water if required. 10. Reduce flame and simmer for 15 minutes or until the mushrooms are tender and the liquid has reduced in quantity. 11. Adjust seasoning. Garnish with basil and parsley. 12. Serve with mashed potatoes or with pasta. 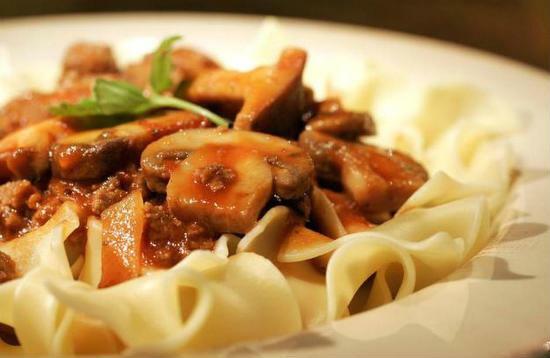 Feel free to comment or share your thoughts on this Mushroom Ragu Recipe from Awesome Cuisine.